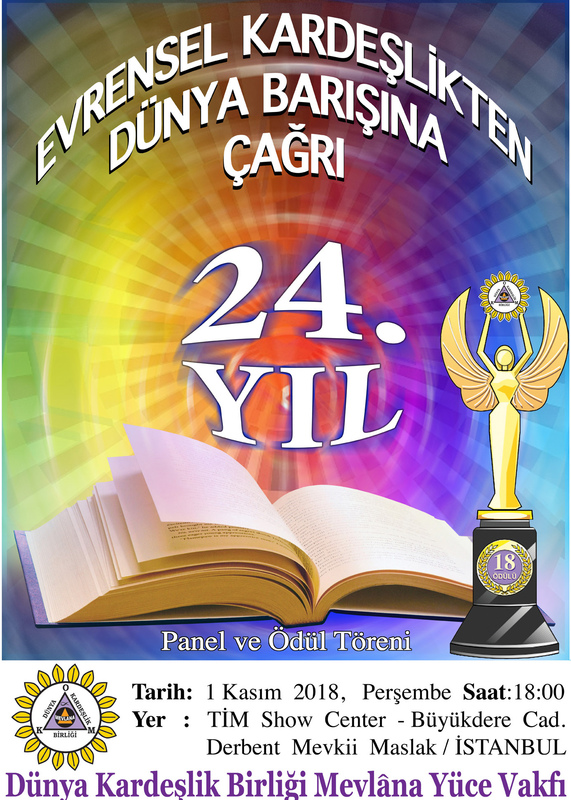 As you know, this year on November 1, we are again taking into into effect another one of our Universal evenings under the slogan “Call to World Peace from Universal Brotherhood” organized every year by our Totality on November 1. The reflections we have made collectively until today with the keen interest and participation of you, our Universal Brothers and Sisters, have become the first mortar of the foundation laid for the very beautiful formation on behalf of Peace and Humanity. To our Totality which is walking more Consciously through the Universal Programs that are opened up each new day due to the acceleration of the flux of time, we have thought that it would be appropriate to give some information on the actual purpose and system of the work taken into effect on the Evening of November 1. As a matter of fact this work that is carried out are investments to the future. The mission representatives we are inviting every year from various continents of our World who are serving on this Universal Path through their own écoles, are connecting the Universal potential they have gathered in their own aura to the Unification Program. Every friend of ours who participates in the November 1 Evening is one who is saying “Yes” to the Unification Program through his/her deeds. The Energy Channel that is opened with the speech delivered by the President of our Foundation that Evening are Energies that are opened up to our Planet from beyond Omega. And every person who absorbs these energies in accordance with his/her own capacity is weaving like a web the Energy network that is going to form the Foundation of the Golden Age in a Holistic way, by adding themselves to it. These energy layers that are forming level by level every year are the Foundations on which a Brotherly/Sisterly World and the World State of the morrows will rise in the Golden Age. As the Energy that is being loaded particularly during the Panel section on the November 1 Evening is absorbed by our Freinds who are attending that evening, the projection of Peace Energies to the World is taken into effect. The number of brains present during these reflections is very important. For this reason every brother/sister who paricipates to this Evening ensures that the Call to World Peace pronounced is even more powerful. We know that the Program of November 1 is not a Worldly program. That Evening the entire World Energy is reflected by Kozmoz to the Ordinance of the Cosmoses through a special channel. The mission of the World is Unification. We desire and expect You, our Brothers and Sisters, who have made the Service on this path of Universal Unification your goal, to add your Breath to the Breath of the World, with the goal to Serve the Foundation of the Morrows. Copyright © 2016 WORLD BROTHERHOOD UNION MEVLANA SUPREME FOUNDATION, All rights reserved.